The Online News Association yesterday announced finalists for the 2014 Online Journalism Awards in categories that include data journalism, digital storytelling, investigative journalism, public service, and technical innovation. Among the finalists is the Center for Public Integrity in six categories, The Washington Post in three categories including for General Excellence in Online Journalism (Large) against NPR.org, and the Council on Foreign Relations in the Explanatory Reporting (Small) category. 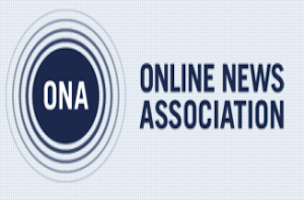 Winners will be announced at the 2014 ONA Conference and Online Journalism Awards Banquet on Saturday, Sept. 27, in Chicago. For a full list of finalists, click here.